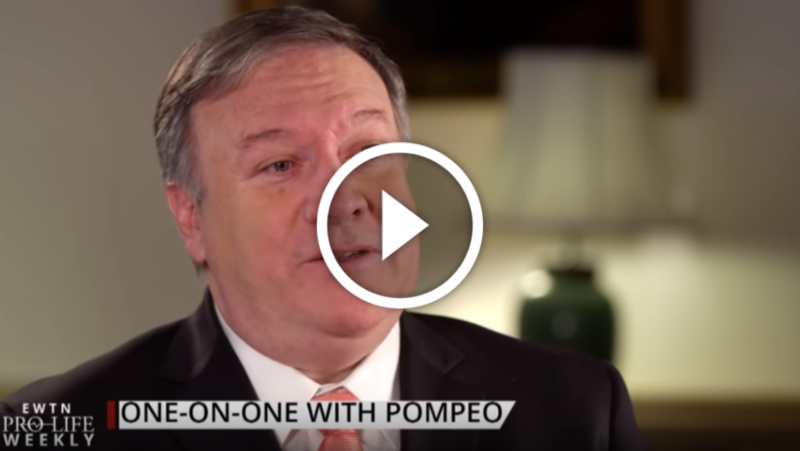 U.S. Secretary of State Mike Pompeo sits down with Catherine Hadro to discuss his major pro-life announcement from the State Department. House Minority Whip Steve Scalise filed a discharge petition to force a vote on the Born-Alive Abortion Survivors Protection Act – we speak with Congressman Scalise about this unique effort and turn to Susan B. Anthony List’s President Marjorie Dannenfelser for pro-life analysis. The “Unplanned” movie exceeded box office expectations, despite media bias and silence – Catherine Hadro “Speaks Out.” EWTN Pro-Life Weekly airs on EWTN every Thursday night at 10 pm ET. It re-airs on Sundays at 10 am and Tuesdays at 1 pm.